As you all know I’m a BIG fan of Michael Kingswood. He is an up and coming SciFi/Fantasy writer. He has over 20 stories available on Amazon right now! And if you subscribe to his newsletter he will post chapters of his latest books for his fans to read! Michael is an impressive guy, he’s a Naval Submarine Officer, father of FOUR children and he enjoys Triathlons for fun. He also likes to ride his bicycle 25 miles (one way) to work. He is currently stationed in San Diego and you can find him and often times his books at a local book store! Tollard’s Peak is the third book in the Glimmervale Chronicles Series. The series is sort of like Tolken meets the Magnificent Seven. There are “cowboys”, a one horse town, sorcerers. wizards and demons. 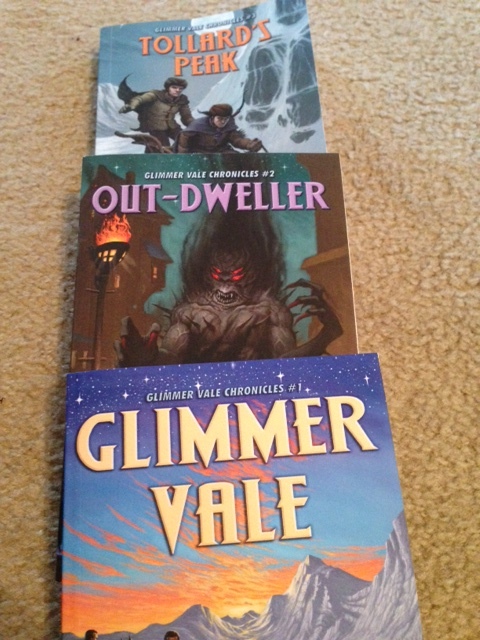 If you could not tell, they are Sci-Fi/Fantasy books, but with a mix of Kingswood’s sense of humor mixed in. But don’t just take my word for it! Check them out for yourself! You can WIN a copy of the ENTIRE series through a Rafflecopter giveaway!